Great opening reception and a beautiful show at the Ridgefield Guild of Artists' Galleries today! Heidi Lewis Coleman is exhibiting her Acrylic & Cut Paper piece, ANNWYN, in the Katonah Museum Artists' Association's show, THE BLUES. This exhibition was juried by David Dunlop, master artist and art instructor. Show dates: February 4th - March 4th. 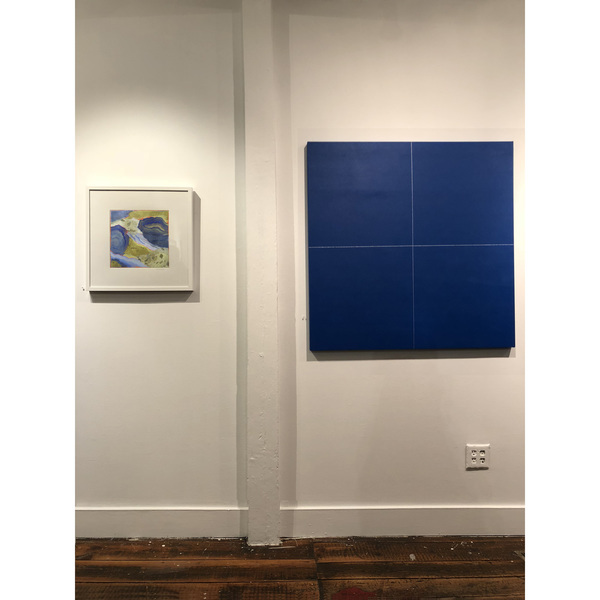 The RGA Galleries are located at 34 Halpin Lane, Ridgefield, Connecticut.